Another year of working the ARRL June VHF+ Contest. 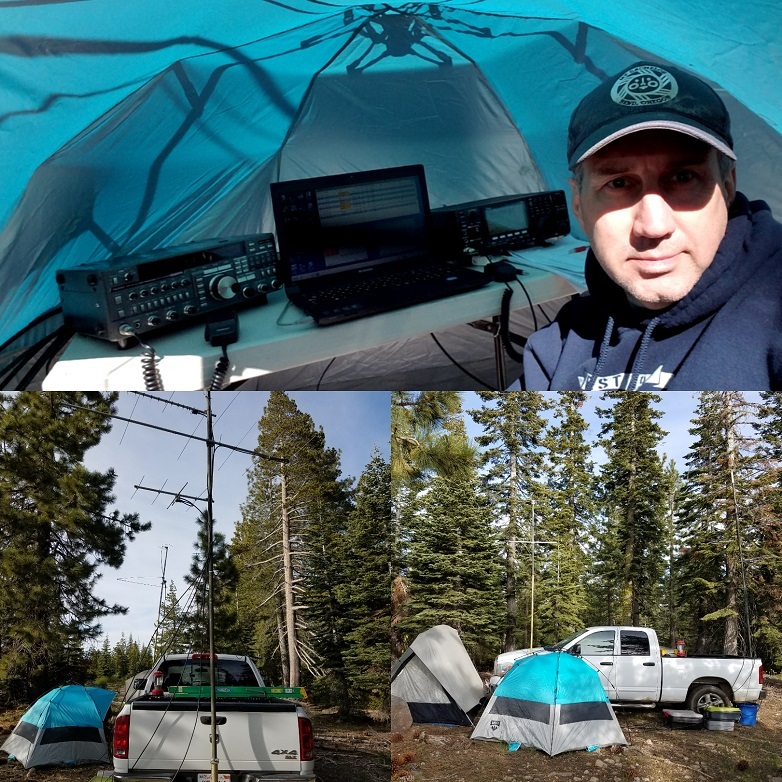 This year I worked from Peddler Hill in Amador County, CA still in the grid square CM98. The Hill top sits at 7,164 Feet and has good views to the North, West and Southwest. I activated six bands most I have ever done and it took a long time to set up and tear down. I also had some equipment issues. My rotor quit working about 3 hours into the contest and a coax switch also failed. So that’s what happens when you operate portable. 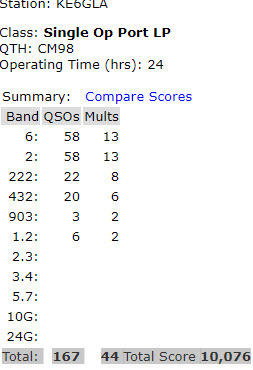 The 6 Meter band never opened so I didn’t get lots of multipliers. For next year’s contest, I think I will be a rover station.